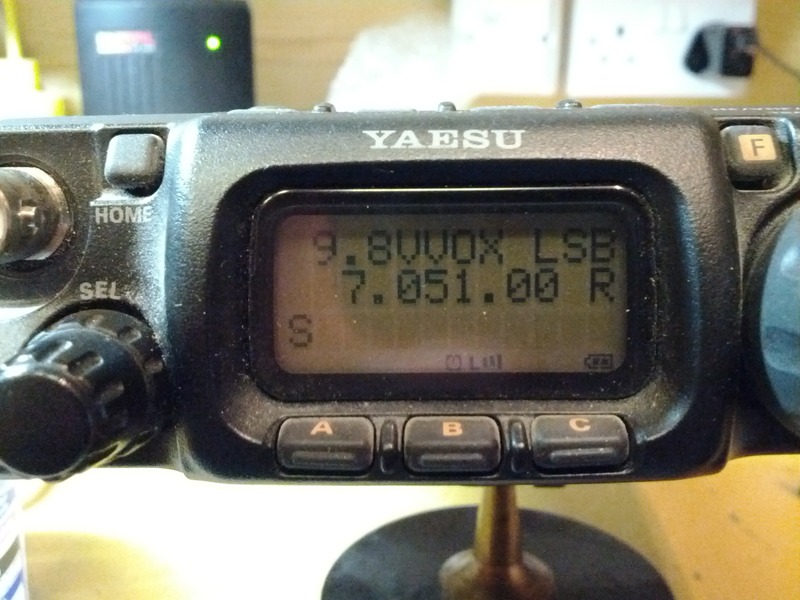 By default the Yaesu FT-817 only supports the VOX (Voice Operated Xmit) from the microphone input. This is generally fine as it would generally be used on SSB with a headset for example. However with the increased adoption of smartphones there has been many digital mode apps released for such platforms it soon becomes apparent that using a smartphone with the data port on the radio has a limitation in that there is no native way to PTT the radio. 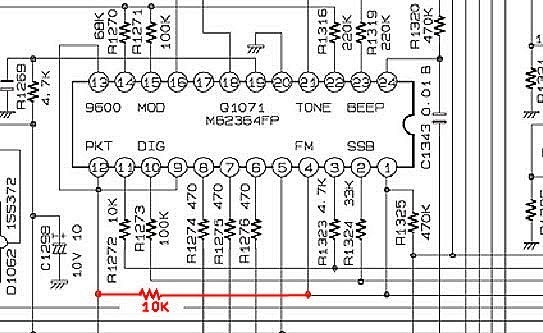 There are a few options such as using a Bluetooth to serial adaptor for PTT control or a simple inline VOX to PTT circuit (there is Part 1, 2 and 3 to read) but while I was researching all this I found an article by Ondra OK1CDJ, someone I actually used to drink [lots] of beer with when I lived in Pardubice, who published a method of modifying the FT-817 so that the data jack could be used with VOX on SSB etc thus eliminating the need for any external PTT switching.. Result. 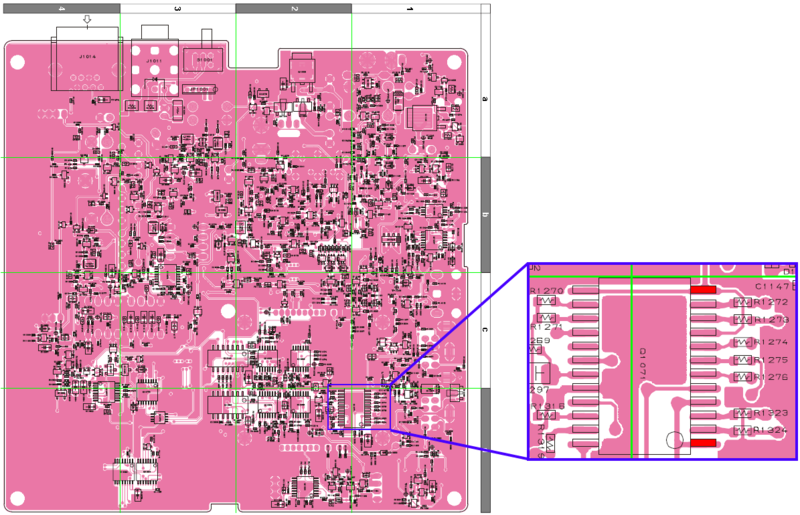 The modification is not difficult, it only requires a 10k resistor to be installed, but does require some SMT soldering. I also take no credit for discovering this useful mod. 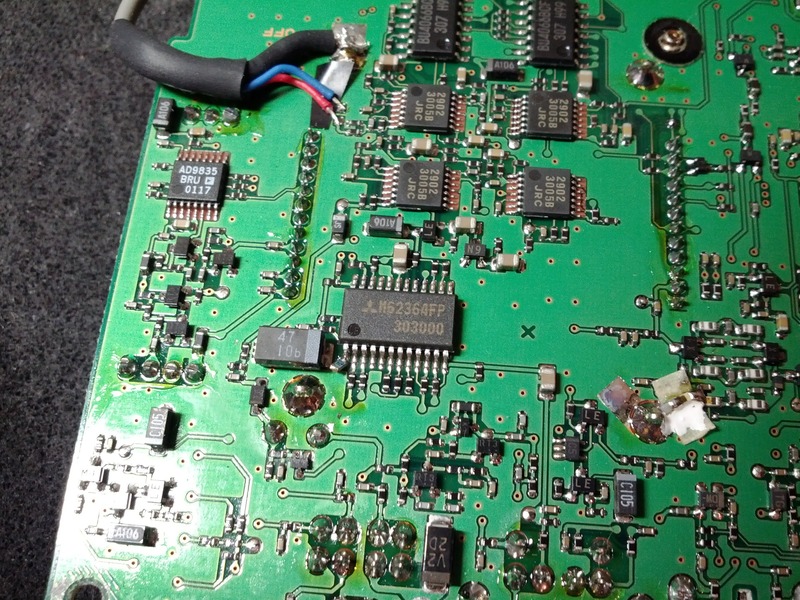 The main board of the FT-817 also needs to be completely removed as the area for modification is on the underside, so if you are unhappy to do either of these then ask someone who is, or revert to the other 2 methods for PTT mentioned above. 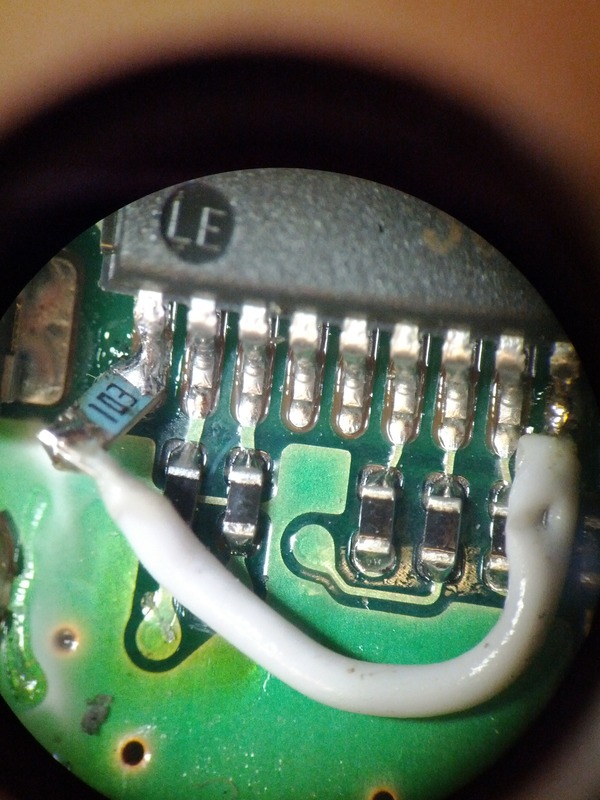 Install a 10K resistor between the 2 RED pads (in the above and right image), note pins 1 and 4 are connected on the PCB so you can use either pin 1 or pin 4 for one side of the resistor. 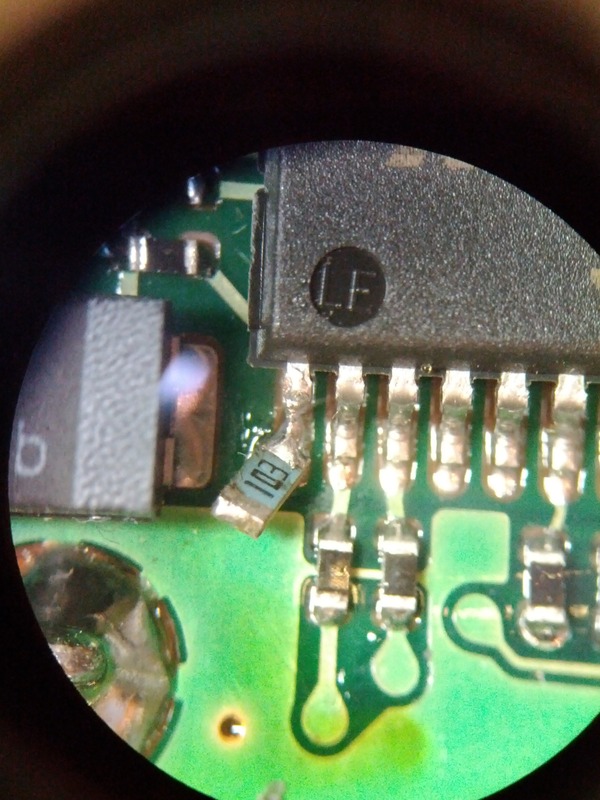 I used pin 1 for one side and and installed the resistor at a 45 degree angle to save it shorting on the PCB – there is probably not enough clearance to mount it vertically when the board is mounted back in the chassis. I probably used too thick a wire, you will find it easier to using something thinner, I’m pretty good a soldering so I got away with it. There is no need to perform a factory reset after the modification. Reassemble the radio and now you can use VOX in available in SSB mode from the data jack on the back. Ooops! I refreshed the page and I see the images perfectly.